The website is online, my Facebook fan page is running, and I'm now an official blogger! Thank you for stopping by and checking things out. In the coming weeks, I'll be posting the latest news along with random sketches and doodles. From time to time, I may also babble dotingly about great artists and the history of illustration. Being a history guy, I tend to subconsciously do that! 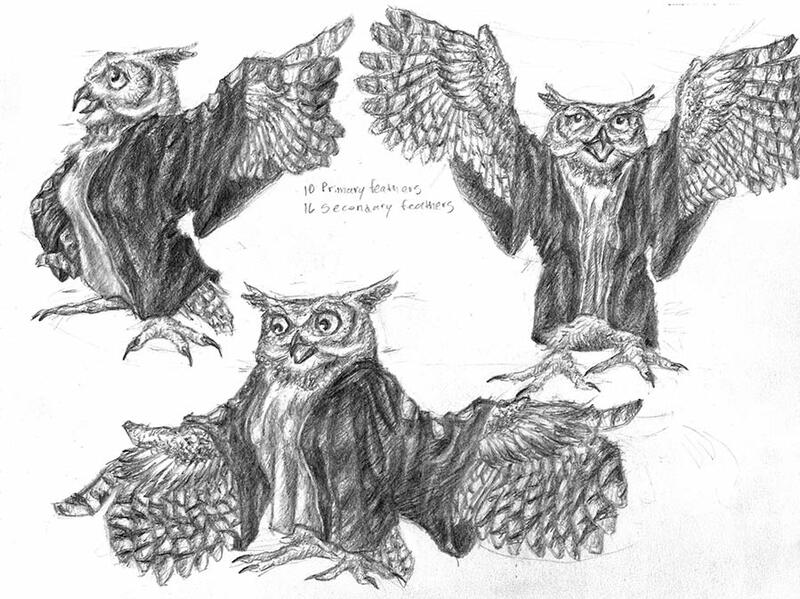 Today, I have chosen to post a character model sheet of the owl teacher, who appears in my story of a small girl and her daydreams of a graduation ceremony. When working on character models, you learn just how beautiful this world really is. Birds are impressive creatures! 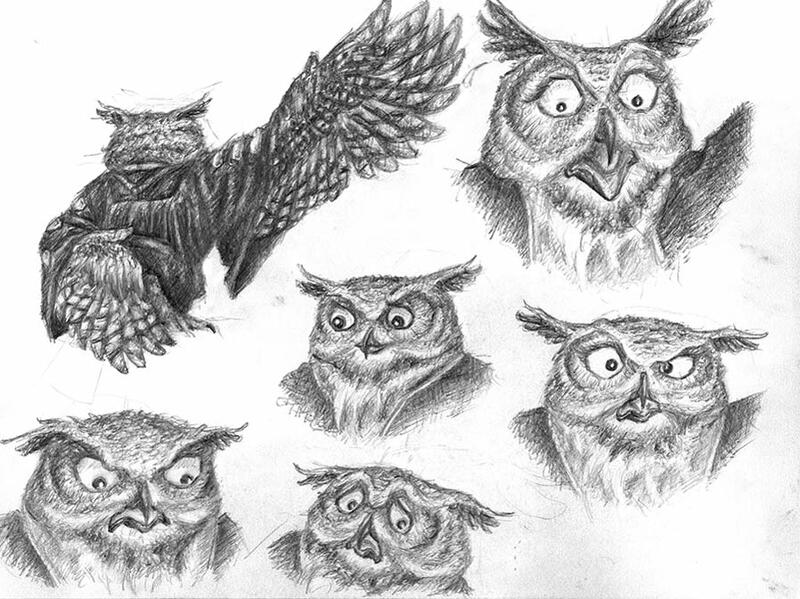 From the stunning beauty of their feathers to the effective structure of their talons, I quickly appreciated the complexity of drawing such a subject. Anytime I work on a story, I try to construct these sketches to provide me with a three dimensional image of the character. It is an essential tool for all storytellers. Some of the best model sheets, though, come from the animation studios. Looking at the stunning pre production work of the classic Walt Disney films and Looney Tunes shorts, just to name a few, serve as both an inspiration and a guide! Paper Dreams by John Canemaker and the Illusion of Life by Ollie Johnston and Frank Thomas are excellent examples of this. Well, it looks like I went off on another history tangent again. I better stop before I find myself writing The History of Illustration vol.1!